This ticket allows general access to Heartland Festival 2019 for all days from Thursday - Saturday. This ticket allows general access to Heartland Festival 2019 for Thursday only. This ticket allows general access to Heartland Festival 2019 for Friday only. This ticket allows general access to Heartland Festival 2019 for Saturday only. Ideally located in a central yet quiet Odense district, this hotel offers Danish and French cuisine, free Wi-Fi and a roof terrace with panoramic city views. Odense Station is 8 minutes’ walk. 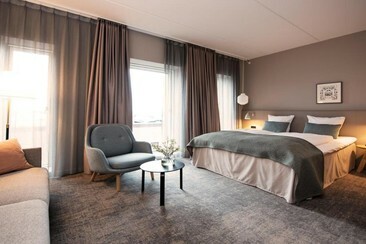 City Hotel Odense's modern guest rooms have simple yet comfortable furnishings. All include a TV, a work desk and a private bathroom with shower. Just a couple of minutes' walk from the main building is the hotel’s cosy restaurant, Den Gamle Kro. It is located in a half-timbered house from 1683 and has traditional décor with wooden paneling. After playing pool or dart in City Hotel’s games room, guests can relax by the fireplace in the lounge, where free hot drinks are available. Free public parking spaces are found on site. Dining, culture, shopping and recreation are all within walking distance. Price GuaranteeMaking sure you pay the best price. 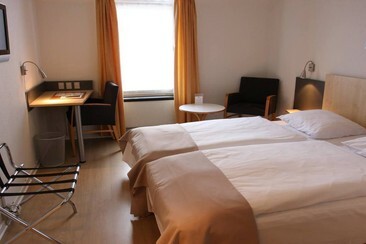 Situated in Odense Congress Center, this hotel offers free in-room Wifi. Leisure facilities include a gym, sauna and terrace. Guests can enjoy Danish-French cuisine made from fresh, seasonal ingredients. Hotel Odense's rooms feature modern décor, have private bathrooms, a TV and a desk. 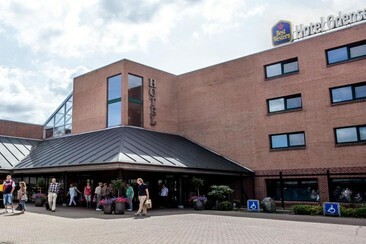 Hotel Odense serves breakfast and lunch buffets each day. An à la carte menu is available for lunch and dinner. The well-stocked wine cellar offers plenty of choice. Gangbroen-Ørbaekvei Bus Stop is right next to the hotel and is a 15-minute ride from Odense's city centre. Rosengårdcentret Shopping Centre is 1/2 miles away. Hotel Odeon is situated in the heart of Odense, 300 m from Carl Nielsen Museum. This contemporary hotel is 8 minutes by foot from St. Canute's Cathedral and a 10-minute walk from Odense train station. Minimalist rooms feature free Wi-Fi, flat-screen TVs and en suite, shower-only bathrooms. Breakfast and parking are complimentary. Other amenities include a restaurant and a bar. The hotel is located close to shopping, attractions, restaurants and nightlife – and just a stone’s throw from the newly opened, congress and cultural centre, ODEON. Heartland Festival is back in the woods for a weekend of music, art, talks and food alongside Solange, The Good, The Bad & The Queen and The Smashing Pumpkins. Held on the Danish island of Funen, in the grounds of the magical Egeskov Castle, Heartland brings together a programme of creatives, letting them showcase their talent in this truly beautiful setting. Joining them will be 6,000 festival-goers, keen to escape the toils of urban life, immersing themselves into Heartland's intimate, festival retreat, one moment dining on a feast, the next watching a headline set. 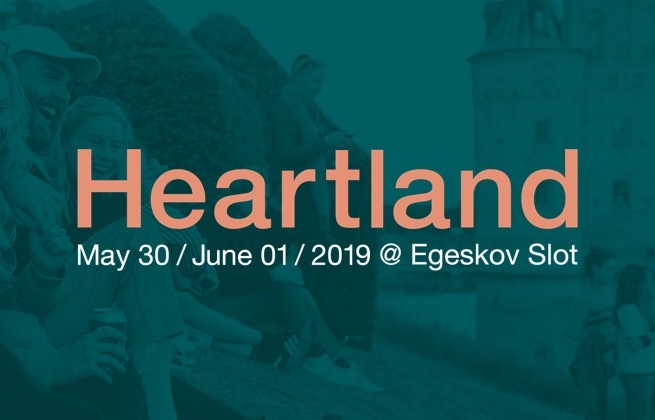 Heartland Festival takes place on the lush grounds of Egeskov Castle, Europe's best preserved water Renaissance castle. The site features intact parks, a moat and a maze from the 1700s, as well as Renaissance architecture.